03 ► I Shall Scream - "Oliver"
2018 - Played an Extra supporting role as a Coldstream Guard in a 3 day filming of the TV series Victoria 3. Employer: On Set Extras. Release date to be confirmed. 2018 - Attended a full-day Workshop on Stage Combat Techniques. Provided by Josh Walker. 2018 - Played an Extra supporting role in a Major Feature film (Non-disclosure contract). 2018 - Played an Extra supporting role in a 3 day filming project for a pilot episode of a new American TV Supernatural Spy series called 'The Rook'. Executive Producer: Twilight Saga creator Stephenie Meyer. Due for release in 2019. IMDb. Employers: On Set Extras. 2018 - Played a small speaking extra role as a Porter on BBC Doctors. Episode 263 - Free Spirit. Creator: BBC Production. Producers: Mal Young · Christiana Ebohon· Will Trotter · Peter Eryl Lloyd · Lowri Glain · Rosalynd Ward · Martin Sharp · Mike Hobson. Employer: On Set Extras. 2017 - Played the role of a Wizard at a 5 day Halloween Event. Employer: Atomic Bee Ltd, Retail Events & Project Management. 2017 - Played the character role of a Bell Boy at a 3 day Prestigious Event at Rolleston Hall. Employer: Blue Cherry Jam Ltd.
2017 - Played an extra role as one of Queen Elizabeth 1, Standard Bearers in a Major Feature Film 'Mary Queen Of Scots'. Directed by Josie Rourke and Produced by working Title co-chairs Tim Bevan and Eric Fellner, and Debra Hayward. Filming in process and due for release 2018. Employer: Piece of Cake Casting. 2017 - Played a supporting speaking role of a young male escapee called Scott, in TV 'case files' Season One. Employer: Damien Kage, Tricell films. Due for release October 2019. IMDb credited. 2017 - Played an extra role as a Kreepa zombie, in TV 'case files' Season One. Employer: Damien Kage, Tricell films. Due for release October 2019. IMDb credited. 2017 - Played the role of a football supporter in a 4 part Premier League Season Ticket Promotional Video Advertisement for Greene King Pub Retailer. To be released throughout Premier League Season 2017/18. Employer: Envisage Entertainments. 2017 - Played a small talking role in an episode of a Netflix series. Non-disclosure contract. Filming in process and due for release 2018. 2017 - Played the role of 'Borachio' in a William Shakespeare's Production 'Much Ado About Nothing'. Theatre in The Garden. Live Performance at The Oat Hill Bar & Restaurant, Market Harborough. Employer: Director Eddie Beardsmore of e.g productions. 2017 - Played the role of 'Friar' in a William Shakespeare's Production 'Much Ado About Nothing'. Theatre in The Garden. 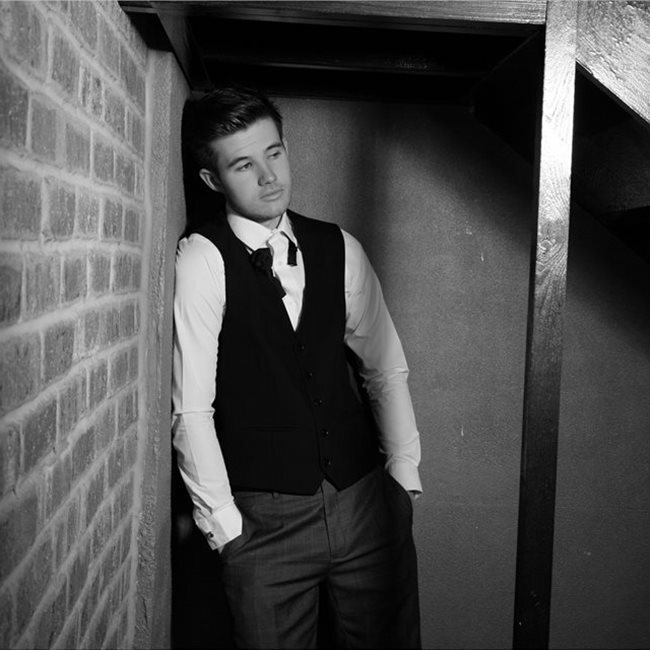 Live Performance at The Oat Hill Bar & Restaurant, Market Harborough. Employer: Director Eddie Beardsmore of e.g productions. 2017 - Played the role of 'Balthazar' in a William Shakespeare's Production 'Much Ado About Nothing'. Theatre in The Garden. Live Performance at The Oat Hill Bar & Restaurant, Market Harborough. Employer: Director Eddie Beardsmore of e.g productions. 2017 - Played the role of Orin Scrivello, the 'Dentist' in 'Little Shop Of Horrors'. Live performance at The Octagonal Hall theatre. Employer: Director Eddie Beardsmore. YT Mkt Harborough. 2017 - Played the role of 'Mr Bumble' in the musical 'Oliver' at The Octagonal Hall Theatre. Employer: Director Gareth Bradwick. YT Mkt Harborough. 2016 - Performed the role of 'Hook' in the Musical Pantomime 'Peter Pan' in a live Production Touring Pantomime from November to January, at various public venues across the UK. 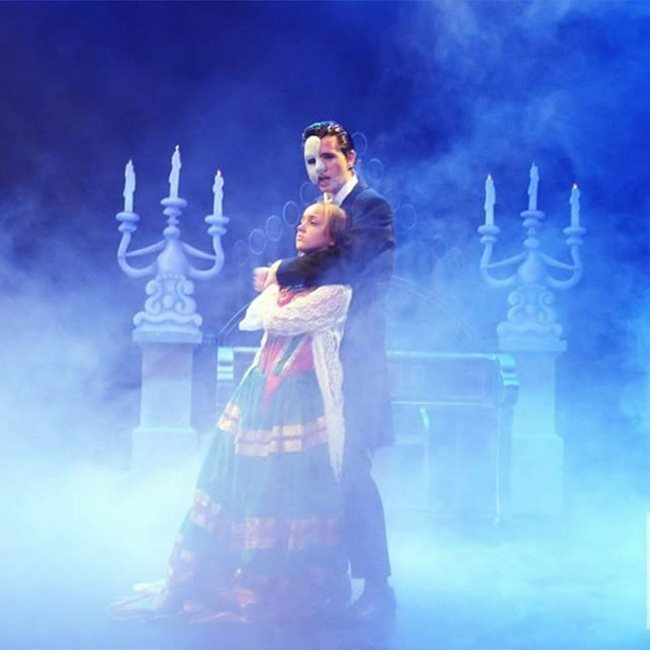 Employer: Company Pyramid Productions Ltd.
2016 - Played the role of the 'Phantom' in the Musical 'The Phantom Of The Opera' in a live Production at The Melton theatre. Employer: Director Suzanne Forrester. Sky Theatre Company. 2016 - Performed as a Singer - promoter for 'The Phantom of The Opera'. Performed live at La Torre, Ristorante Bellini, Dolce Vita - Italian Restaurants. 2016 - Played the role of 'Reverend Shaw Moore' in the Musical 'Footloose' in a live Production at The Melton theatre. Employers: Directors Tom Fox and Bernice Rowan. Neon Glee Theatre Company. 2016 - Played the role of 'Nick Piazza' in the Musical 'Fame' in a live Production at The Octagonal Hall Theatre. Employer: Director Gareth Bradwick. YT Mkt Harborough. 2015-16 - Played the role of 'Tin Man' in the Musical 'The Wizard Of Oz' in a live Production at Octagonal Hall Theatre. Employer: Director Gareth Bradwick. YT Mkt Harborough. 2015 - Played the role of 'Mrs. Fezziwig' in the Musical Pantomime 'Scrooge - A Christmas Carol' in a live Production at The Melton Theatre. Employer: Director Arnie Breen. Neon Glee Theatre Company. 2015 - Played the role of 'Javert' in the Musical 'Les Miserables' in a live Production at The Melton Theatre. Employer: Director Suzanne Forrester. Sky Theatre Company. 2015 - Played the role of 'Sonny Latierri' in the Musical 'Grease' in a live Production at The Melton theatre. Employer: Director Arnie Breen. Neon Glee Theatre Company. 2015 - Played the role of 'Jean Valjean' in the Musical 'Les Miserables' in a live Production at The Octagonal Hall. Employer: Director Paul Williams. YT Market Harborough. 2014 - Played the role of 'Britney Spears' in 'We Will Rock You' in a live Production at The Robert Smyth Academy Hall. Employer: Director Sue Rosenbloom. 2013 - Played the role of 'Beadle Bamford' in 'Sweeney Todd' in a live Production at The Octagonal Hall. Employer: Director Mr Julian Oakland. 2013 - Played the role of An 'Old Git' in a Comedy Sketch called 'Two Old Gits' in a live improvised Production at The Octagonal Hall. Directors Benjamin Studd and Alistair Beeston. 2019 - Played an Extra supporting role as a Clerk in a pilot episode of a new series called 'Belgravia'. Employer: On Set Extras. 2018 - Attended a Workshop on Stage Combat Techniques. 2018 - Played an Extra supporting role in part of a 3 day filming project for a pilot episode of a new American TV Supernatural Spy series called 'The Rook'. Executive Producer: Twilight Saga creator Stephenie Meyer. Due for release in 2019. IMDb. Employers: On Set Extras. 2018 - Played a small speaking extra role as a Porter on BBC Doctors. Episode 263 - Free Spirit. Creator: BBC Production. Producers: Mal Young· Christiana Ebohon· Will Trotter · Peter Eryl Lloyd · Lowri Glain · Rosalynd Ward · Martin Sharp · Mike Hobson. Employer: On Set Extras. 2017 - Played a supporting speaking role of a young male escapee called Scott, in TV 'case files' Season One. Employer: Damien Kage, Tricell films. IMDb credited. 2017 - Played an extra role as a Kreepa zombie, in the TV 'case files' Season One. Employer: Damien Kage, Tricell films. Due for release October 2018. IMDb credited. 2017 - Modelled at a Promotional Campaign for a Leading Beer Brand. Employer: Zen Experential. 2017 - Modelled at a three day prestigious event. Employer: Blue Cherry Jam Ltd.
2017 - Finalist at a Modelling Competition - Mr North West. 2016 - Modelled and presented at a Promotional Campaign for a well known Theatre based Production. Employer: Director, Suzanne Forrester. 2018 - Played the character role of Tony in the musical, West Side Story. Performed live at the Melton Theatre, Melton. Employer: Suzanne Forrester and Claudette Cavin-Henry. Employer: Sky Theatre Company. 2018 - Attended two day intense workshop for a Musical Production of West Side Story. 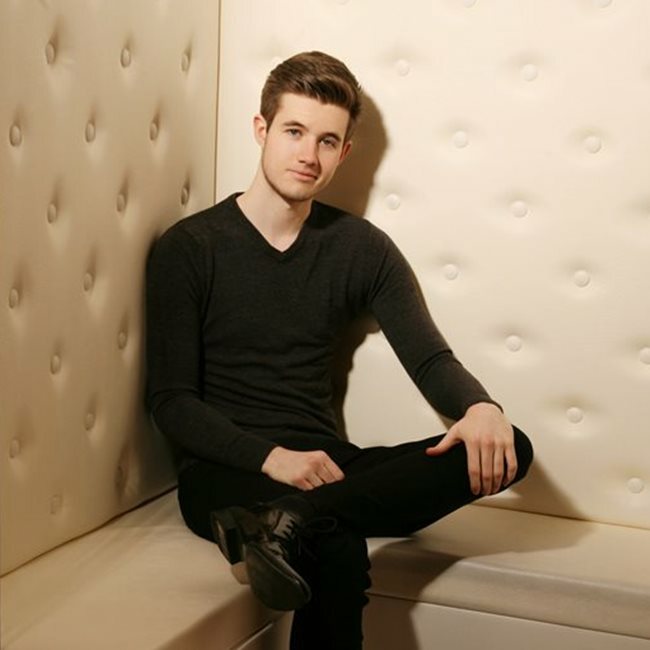 2018 - Performed as a vocalist, solo and duet, a medley of songs from The Phantom Of The Opera, Les Miserable, and Jesus Christ Superstar. In a live annual Production of 'Opera by Candlelight'. At Ratcliffe College, Leicester. The Henry Goldshaw Gerald Yell Music Scholarship Fund. 2018 - Acted as assistant to the organiser in facilitating an open day workshop for a Nottinghamshire Choir. Employer: Dr Michael Bonshor. 2018 - Performed at a Charity event, Market Harborough, Leicestershire. 2017 - I was the opening act performing solo a medley of songs at a Charity Gala at the Bloomsbury Hotel, London. 2017 - Performed solo and duet some classical pieces and favoured showtunes at The Manners Arms Steak & Grill classical dinner evening. Employer: Ella Brookes. 2017 - Performed a medley of songs in a musical showcase 'Magic Of The Movies' in a live Production at the Octagonal Hall Theatre. Director Charlotte Chambers. 2017 - Played the character role of Orin Scrivello, the 'Dentist' in the musical 'Little Shop Of Horrors' in a live Production at the Octagonal Hall Theatre. Director Eddie Beardsmore. YT Mkt Harborough. 2017 - Performed in a duet, a medley of songs from "The Phantom Of The Opera". In a live Production of 'Opera by Candlelight'. At Ratcliffe College, Leicester. The Henry Goldshaw Gerald Yell Music Scholarship Fund. 2017 - Played the role of 'Mr Bumble' in the musical 'Oliver' in a live Production at The Octagonal Hall Theatre. Employer: Director Gareth Bradwick. YT Market Harborough. 2016 - Performed the role of 'Hook' in the Musical Pantomime 'Peter Pan' in a live production at various public venues across the UK. Employer: Company Pyramid Productions Ltd.
2016 - Played the role of the 'Phantom' in the Musical 'The Phantom Of The Opera' in a live Production at The Melton theatre. Employer: Director Suzanne Forrester of the Sky Theatre Company. 2016 - Performed as a Singer - promoting for 'The Phantom of The Opera' in a live Production at La Torre, Ristorante Bellini, Dolce Vita - Italian Restaurants. 2016 - Played the role of 'Nick Piazza' the Musical 'Fame' in a live Production in a live Production at The Octagonal Hall Theatre. Employer: Director Gareth Bradwick. YT Market Harborough. 2015-16 - Played the role of the 'Tin Man' in the Musical 'The Wizard Of Oz' in a live Production at the Octagonal Hall Theatre. Employer: Director Gareth Bradwick. YT Market Harborough. 2015 - Played the role of 'Javert' in the Musical 'Les Miserables' in a live Production at The Octagonal Hall. Employer: Director Suzanne Forrester, Sky Theatre Company. 2012-17 - Vast experience singing and performing in Musicals. 2010-13 - Variety of experience performing as Singer/Dancer in group set and solo at various public venues and clubs to a varied audience hired at private parties functions. 2017 - Played the role of a Kreepa zombie in TV 'Case Files'. Tricell Films. IMDB credited. 2017 - Played the role of a football supporter in a Premier League Promotional Video Advertisement. 2017 - Played a small speaking role in an episode of a Netflix series. 2018 - I am receiving ongoing private classes in Modern Contemporary/Jazz from Intermediate to Advanced Level. 2018 - I am receiving ongoing private Ballet classes to improve from Intermediate to Advanced Level. 2017 - I received private Ballet classes from basic to Intermediate Level. 2014-16 - I received dance training in Modern Contemporary Jazz, as part of a two year Advanced BTEC Diploma in Musical Theatre and Performing Arts Course that I completed at Brooksby Melton College.